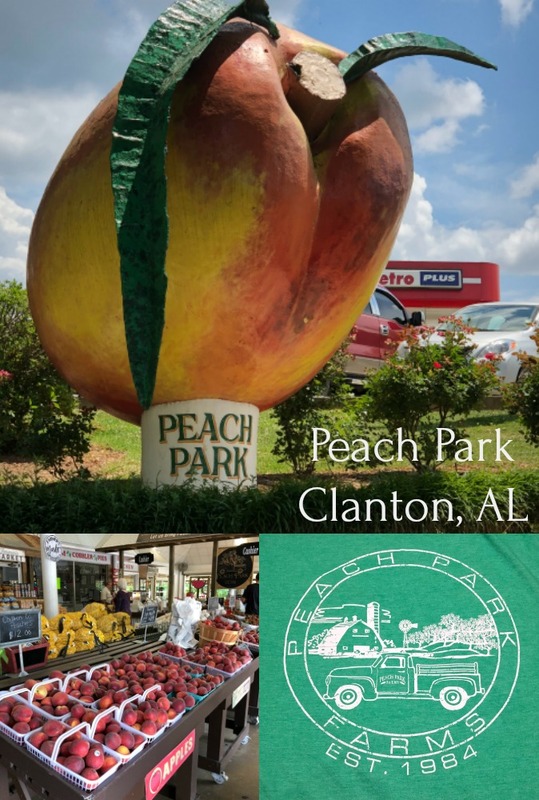 Enjoy some Italian food, fresh peaches, history and more! Welcome to day #3 of my ladies trip earlier this year! 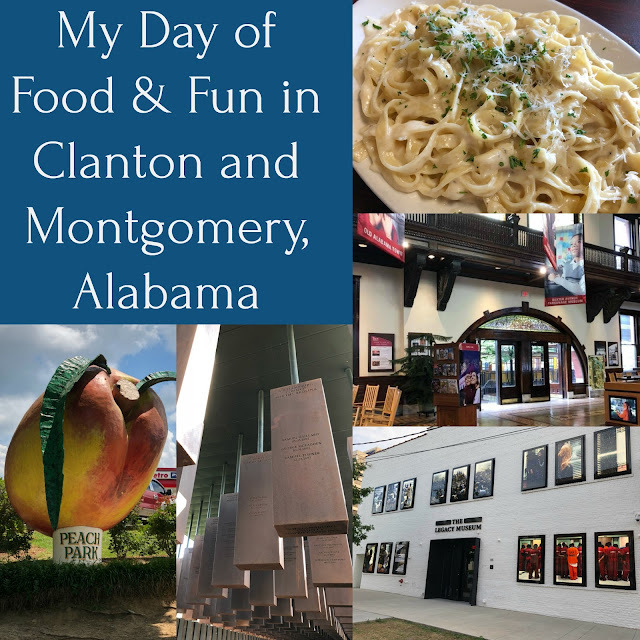 Today I'm sharing our adventures in Clanton and Montgomery, Alabama! If you haven't already, go check out day #1 in Chattanooga and day #2 in Birmingham! I will be going back to Montgomery again soon. There is so much more history, food and more to explore. When you're ambitious like I was and want to visit a new city everyday, you really have to pick and choose what to do now, and on the next trip. 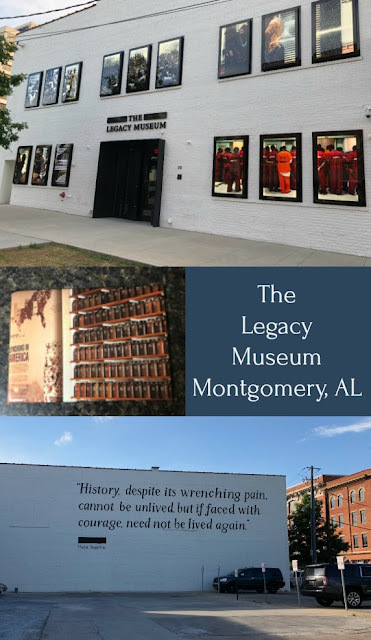 The first two places are a must visit if you're driving from Birmingham to Montgomery! Make sure Clanton is on your GPS! You don't want to miss it! Peach Park came as a recommendation from the amazing lady at the vineyard we visited! It's a perfect tourist destination with so many fun things to try and purchase. You can visit the park, gift shop and eatery! I came home with a cute t-shirt, peach vinaigrette and some fresh peaches for the road. People rave about the fried peach hand pies, so make sure you try one! We were starving after a couple hours on the road, and we let Google lead us to Bertolone's! This family owned restaurant is an absolute gem! Our waitress was fantastic, and the food was even more amazing! 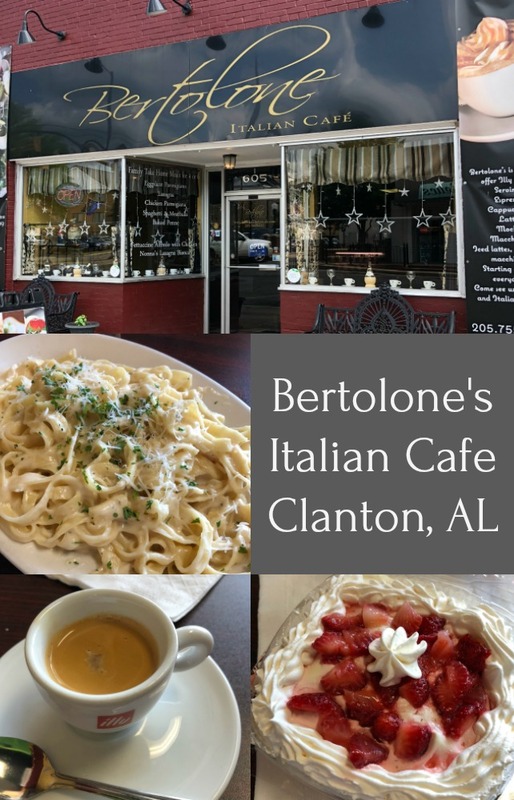 We tried the tomato basil soup, caprese salad, fettuccine alfredo, mushroom ravioli, cannelloni, strawberry and traditional tiramisu and espresso. The soup and espresso was on the house. I couldn't have asked for a better meal or customer service! Authentic, welcoming and top notch! We heard stories about Grandma in the kitchen, recipes and so much more! The Legacy Museum isn't fun. In fact it's heartbreaking, but it is a place that everyone in America should visit at least once in their life. Opened in spring of 2018, this museum is the former site of a warehouse where slaves were held. A block from one of the most prominent slave auction sites in America. You will learn about the connections from slavery to mass incarceration in African Americans in history and today. 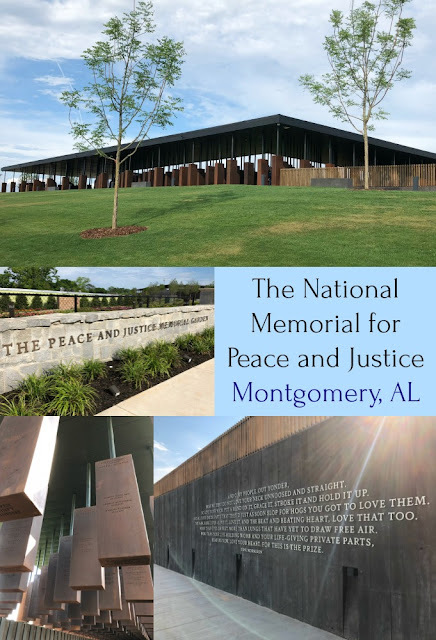 When you get your tickets to the museum, make sure to get them for the memorial too! This memorial isn't an easy visit either, but very important that we see and don't forget about this part of American history. We visited on a gorgeous, sunny day but seeing names, stories and locations of lynching victims gives you a chill. The staff was very helpful in answering questions, and strangers from all over the United States came together the day we visited for friendly conversation and greetings. Despite the history, people still come together in the most unusual places. Such a beautiful experience. 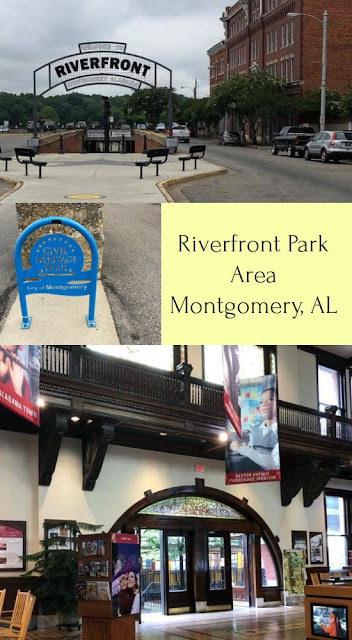 Riverfront Park is a great area to visit in Downtown Montgomery! We visited the Montgomery Union Station. You can find some cute gift shops, and browse the beautiful building, and get some recommendations from the Montgomery Area Visitor's Center! Riverfront Park is home to riverboat rides, concerts, baseball, walking and so much more! I hope you enjoyed our day of fun!